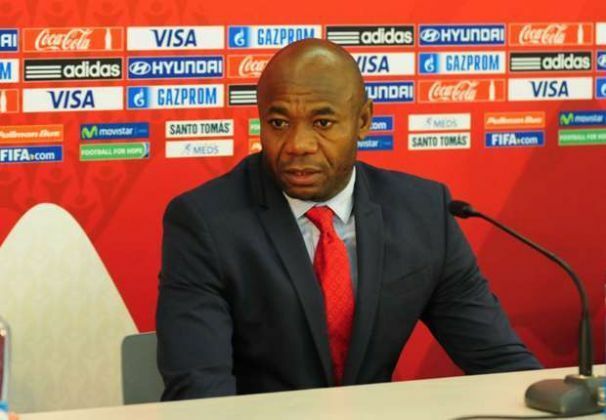 Former Nigeria international and coach of the Tanzanian national football team, Emmanuel Amuneke has expressed pride and honour in his latest achievement. The coach whose brace helped Nigeria to its second ever African Nations Cup title in Tunisia, 25 years ago, qualified Tanzania to its first Nations Cup appearance in 39 years. The Taifa Stars of Tanzania needed a win to avoid elimination from the qualification and they got it against Cranes of Uganda on the last day game. Amuneke took to Instagram to express his pleasure with the performance of the team and qualification. “It was an honour to have been given the opportunity to achieve great things with Tanzania football and I’m proud that what we set out to do as our first objective has been met. “Qualification for the 2019 AFCON was always going to be a tough task but the hard work and belief the team had got us through. The former Nigeria youth team coach becomes the second Nigerian after the late Stephen Keshi – both members of the Tunisia 1994 team – to qualify an African nation to the Nations Cup either. Stephen Keshi qualified Togo to the Nations Cup while he was the coach of the Sparrowhawks. Is Barca’s Dominance Coming To An End?